EWG scientists reviewed California Baby Shampoo & Body Wash, Tea Tree & Lavender for safety according to the methodology outlined in our Skin Deep Cosmetics Database. We assess the ingredients listed on the labels of personal care products based on data in toxicity and regulatory databases, government and health agency assessments and the open scientific literature. 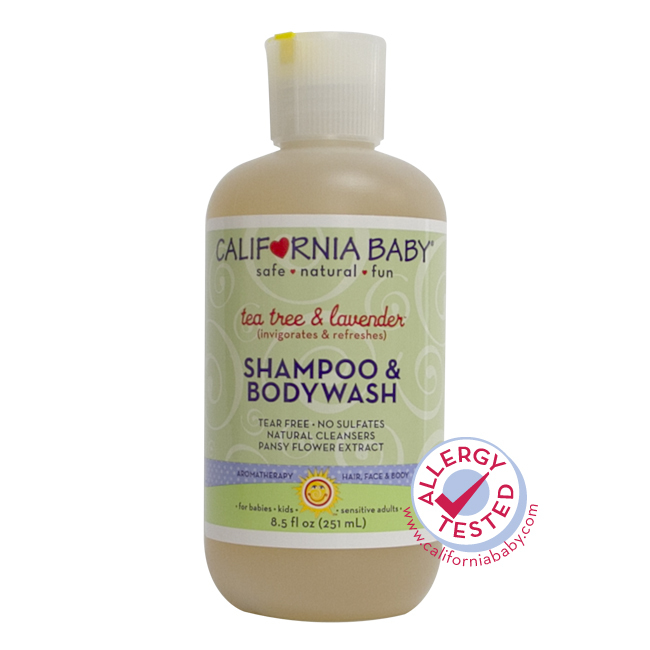 EWG's rating for California Baby Shampoo & Body Wash, Tea Tree & Lavender is 1. For severe cases of cradle cap or lice, use daily massaging vigorously. Massage onto hair and scalp, follow with our botanical hair conditioner. In the case of "cradle cap" use our: "Tea tree & lavender" skin/scalp ointment. BodyWash for use in bath & shower in place of regular soap. WarningsOur products smell good and children might want to take a taste although safe and natural, if ingested, your pediatrician should be your first point of contact. For external use only.